The Irish will compete as full members in all conference sponsored sports with the exception of football which will play five games annually against league programs. The move may cost the Irish some traditional opponents in football, as a Notre Dame official said that the school's top priorities in football scheduling moving forward will be to retain a West Coast presence — games against USC and Stanford — and the annual game with Navy. That means Notre Dame's games against some of its Midwest opponents could be in danger. 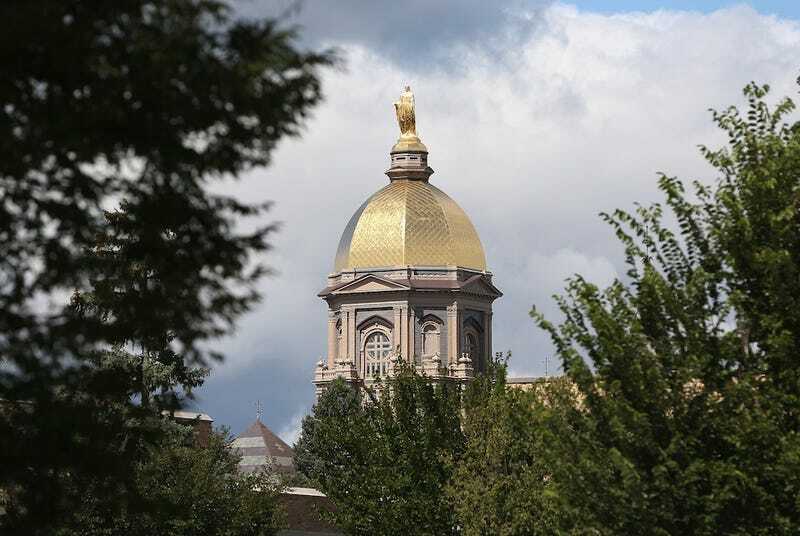 A source told Yahoo's Dan Wetzel that Notre Dame made the move because of football scheduling concerns, which Wetzel said were "[b]igger than weakening of Big East." Oh, and now that the ACC appears to be done ransacking the Big East, it's raised its own exit fee to $50 million.